Hung parliaments are deemed the bane of the Westminster System. It makes politicians sweat, policy makers work, and the broader system of representative government unusually representative. The latter part is particularly irksome for the majoritarians. Authoritarian tendencies are never far away from the politically elected. It is always easy to become hubristic when voters go your way, less so when they prefer other options of balance and discernment. 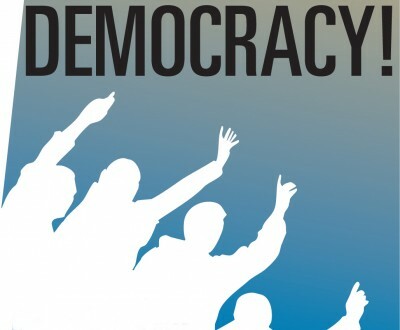 Majoritarianism tends to be one of the great dangers of democracy practice, largely because it assumes that the stronger the backing for one force, the more democratic it is. The fallacy of untrammelled majority rule ignores what parliamentary practice tends to be. Well it may be that governments are elected with a majority, but the rules of representation demand that other parties and voices are accounted for. Strictly speaking, governments may make laws, but parliament passes them in a final vote. The Australian elections this early July gave politicians a richly deserved outcome. It shocked Turnbull’s conservative government of the day, but did not award victory to Bill Shorten’s opposition Labor party. While Australia’s Parliament, notably the lower house, could do with many more independents, it was heartening to see five come through in a body with 150 seats. Little thought is given to the obvious fact that Parliament never goes through such a door, remaining with entrenched institutional defiance. Politicians still remain to pass acts. Debates continue, irrespective of what party decides to subject their leader to decapitation. The close election result from July 2 makes perfect historical sense. The entire premise of dissolving both chambers of Parliament by the Prime Minister had been to obtain irrepressible numbers by popular demand. That Malcolm Turnbull assumed he would get such unqualified support suggests a total absence of sentience in Canberra’s governance. The disgust in what must be one of the more stable political systems in the world with the tribal bloodletting has been well stated in these election results. Neither side should govern outright. If governing parties cannot get their act together, they deserve a good electoral scolding at the polling both, and more appropriately, some restraint in practice. Such figures certainly should not be encouraged with their usual form of behaviour. Both major parties have found political assassination irresistible. The Australian Labour Party under Kevin Rudd and Julia Gillard specialised in sessions of regicide when in government, instigated by party pollsters and propaganda wonks who confused ratings of opinion with effectiveness in government.In 2013, when Tony Abbott, a conservative prime minister, made his way to the office, it took till 2015 for his own party to tire of him. The excuses in removing Abbott in favour of the more conciliatory Turnbull were all too familiar in their historical rhyming: poor consultation, episodes of mania, the firm influence of an inner unelected circle constituted of one. This Australian parliament, notably at the senate level, has the potential to be as colourful as the last, though establishment chatterboxes fear that some of the figures seem all too reactionary. In her return to national politics, Pauline Hanson of the One Nation Party will again make her presence felt in Canberra, keeping accompany with a host of other plain speakers who loathe party machines. Hanson, more than any other member of parliament, has every reason to feel that her pugnacious ideas on halting the arrival of immigrants, refugees and human beings not quite familiar with the “Aussie” way of living were purloined by various governments from the late 1990s onwards. Hanson is only a scourge in so far as her crude siege philosophy has been totally integrated into Australian political life. Conveniently called racist, her views pair rather well with the concentration camp essentials of Australian refugee policy. The attitudinal change inflicted by a hung parliament is a blissful thing indeed. Rather than being dismissed in a flurry of authoritarian sentiments, it should be embraced as a productive enterprise. Any decent history of the traumatic years of the Gillard minority government will be aware that working with crossbenchers and independents is exactly what democratic government is all about. Besides, such trauma is always exaggerated, usually by the calculatingly unimaginative.